The start of a new year is a great time to reflect on the previous 12 months and to set goals for the future. 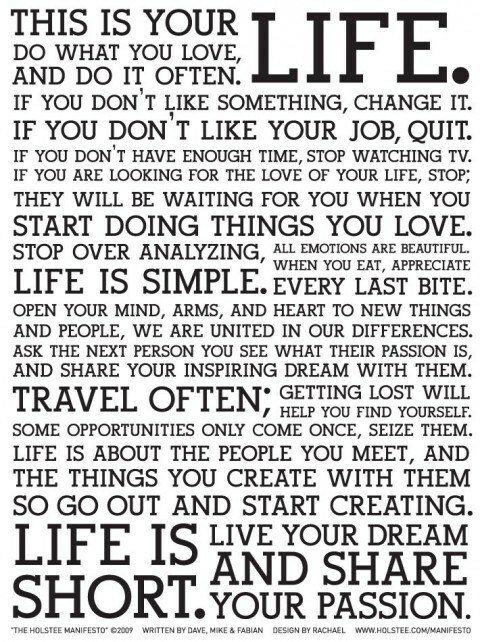 Many people do this in the form of New Year's resolutions but I'm recommending writing a manifesto! Put it away, then proofread. If you're too busy at the gym to write an original manifesto, there are plenty already out there that can provide you with some inspiration. 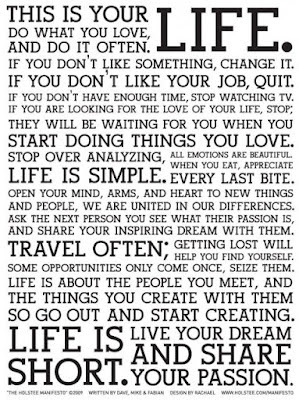 One of my favorites comes from a company called Holstee whose mission is "to help people live a reflective and intentional life" and I've included the picture below. Happy writing and happy new year!